Fortunately, there are many organizations working to fight climate change. 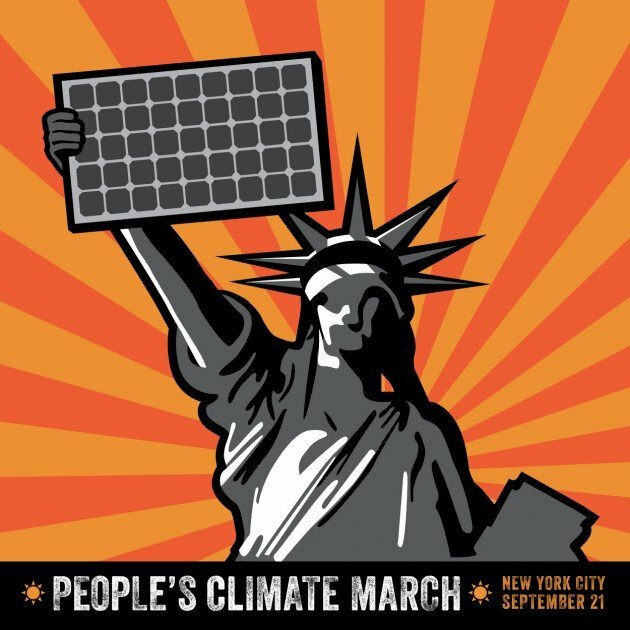 And, for those of you who live in or near New York City or are visiting here this coming weekend, we are hosting what is undoubtedly going to be the largest mass action about climate change in history. Yes, the People’s Climate March will take place on Sunday, 21 September, in midtown Manhattan. You should go! I’ll be there. The link provides all of the necessary information to sign up and get involved. Don’t be afraid of joining a large march in New York City, even if you have never been involved in activism before. This is a permitted march with a pre-planned route. It will be family friendly and it is well organized. It will be safe, fun, and not at all scary. Come out, make your voice heard, and have a good time! Occupy Wall Street is the primary driver behind this action though there are many other organizations and individuals who are also participating. With deep local roots in the New York City activism scene and experience, post Hurricane Sandy, of the damage that climate change can cause, Occupy Wall Street has morphed into an organization with a ton of organizing and direct action talents. 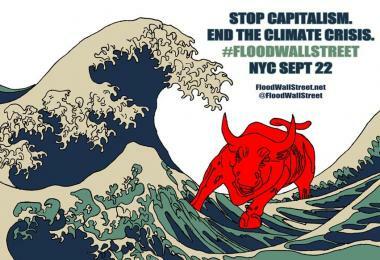 The idea is to wear blue and flood Wall Street, the symbolic center of the capitalist system that continues to profit from all of the industries that are causing climate change, with people. The action will be fluid – organized chaos – and will undoubtedly lead to mass arrests. I plan to attend. It should be confrontational, and fun, and hopefully it will help drive home the message of the People’s Climate March with a harder edge. And, of course, if you can’t be in New York City this coming weekend there are still a host of things you can do to help fight climate change. This is a worldwide movement with organizations everywhere working to combat climate change. Get involved! We only have one planet and about 10,000 species of bird. I don’t want to make the former unlivable and I don’t want to lose any of the latter. But change doesn’t come on its own and power concedes nothing without a fight. If capitalism in America is so terrible then move to China or Russia. Um, both of those countries are capitalist. Also, you are a boring troll.